The esoteric centurion shuns traditional measures when valuing a name. 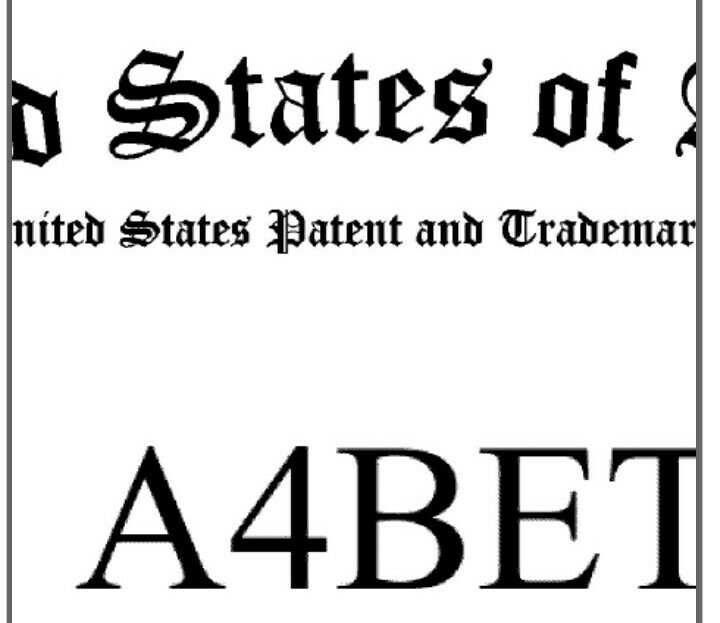 A4BET® is unlike any other name registered for the word alphabet in United States Patent & Trademark Department history. The first time in 135 years! The United States Patent & Trademark Office( USPTO ) history spans more than 200 years. 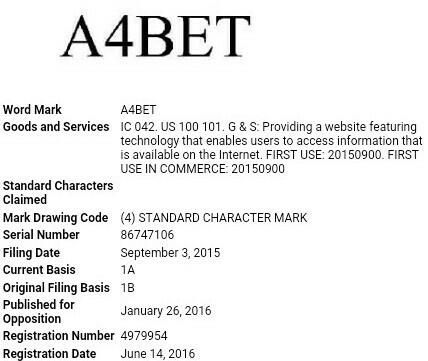 Issuing A4BET® a registered trademark is tremendous news for the entire technology industry, an industry with major diversity problems. On April 10, 1790, President George Washington signed the bill, “Patent Act of 1790", that laid the foundation for the modern day American patent system. This date marks the first time in American history that the law gave inventors rights to their creations. 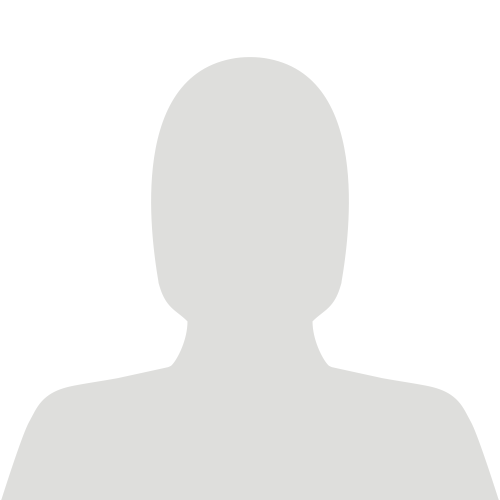 The bill gave Patent Board members the power to grant a patent. Their authority was absolute and could not be appealed. The first Patent Board members included Secretary of State Thomas Jefferson, who was considered the first administrator of the American patent system. Trademark registration was added to the office in 1881. Strong trademark protection can be as important as a strong patent portfolio to a successful business. A4BET® is a neologism for the word alphabet and has a pseudo mark. 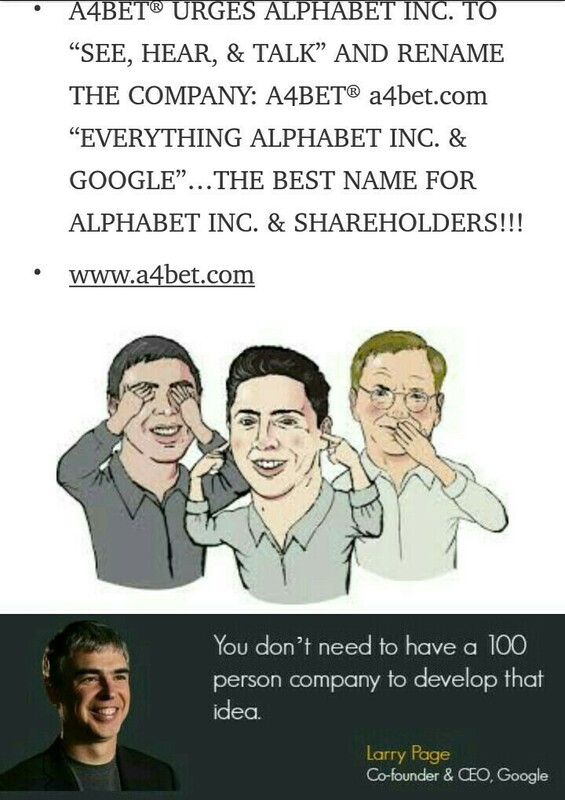 Alphabet is define as a collection of letters that represent the English language and an alpha bet aka “an investment above benchmark”. 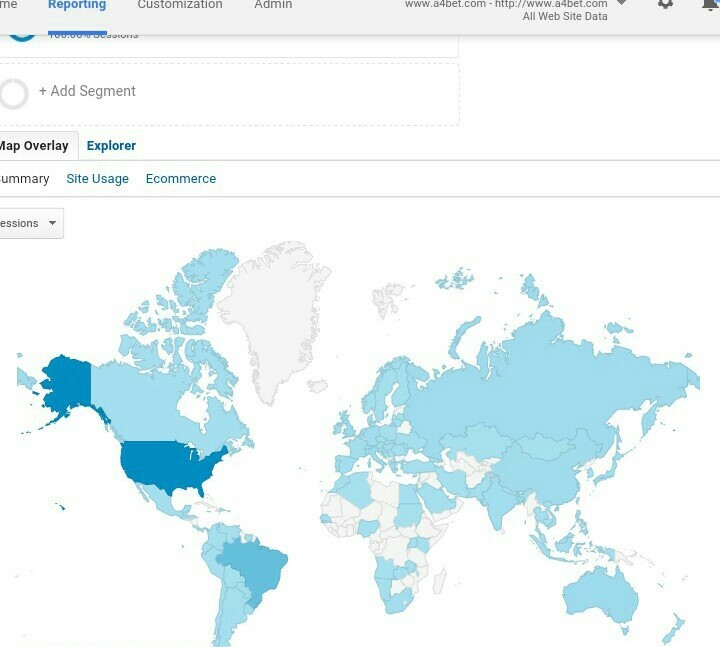 A4BET® has been viewed organically, according to Google Analytics, in over 100 countries and 1000 cities worldwide. 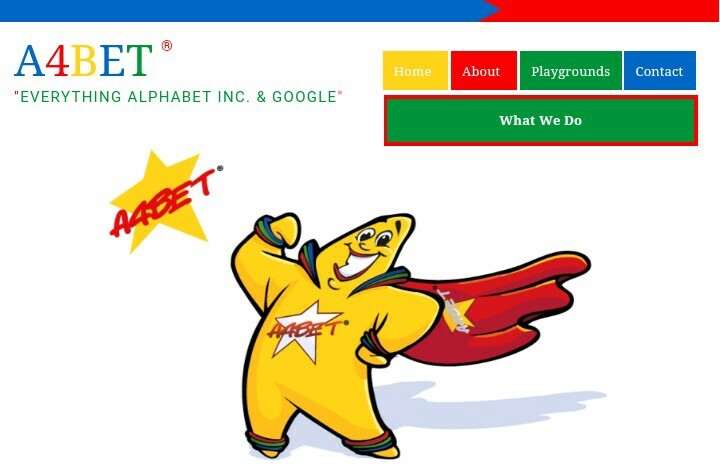 “A4BET® is a powerful, simple, unique way to spell the word alphabet. 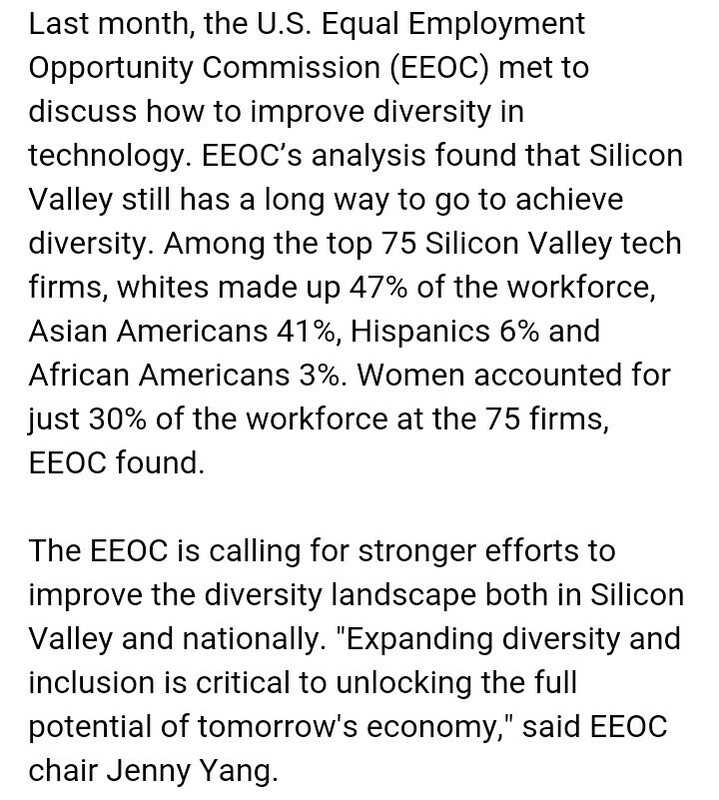 The technology industry has a diversity problem…especially with African-Americans.”, says A4BET® founder & neologist C.C. 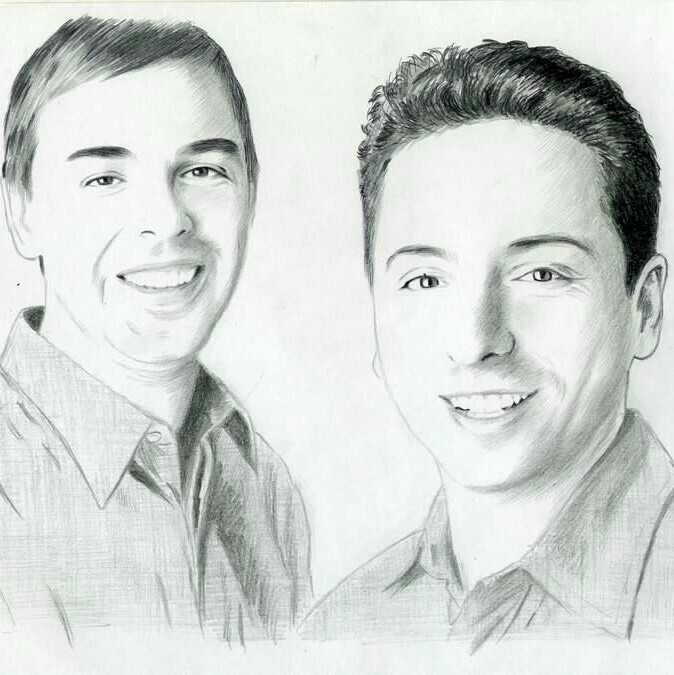 Alexander ll, “A4BET® is a real life example of creativity and being the first! 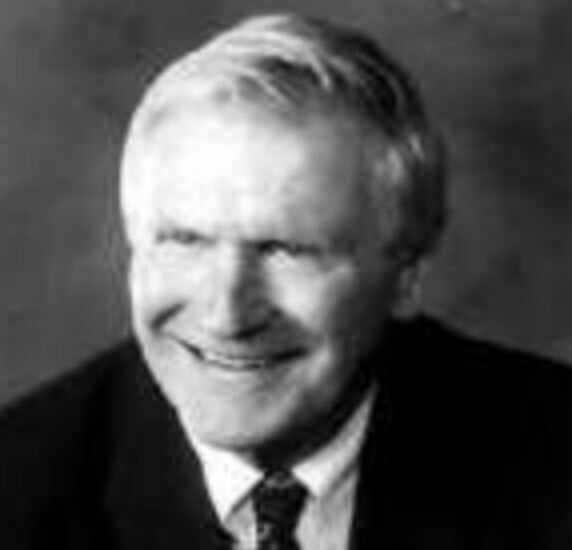 Years ago, I had the honor of meeting and becoming friends with technology public relations & marketing legend Fred Hoar. Fred is now deceased, but his message rings true today. Keep things simple, memorable and worth people’s time. No one was ever bored into buying anything. 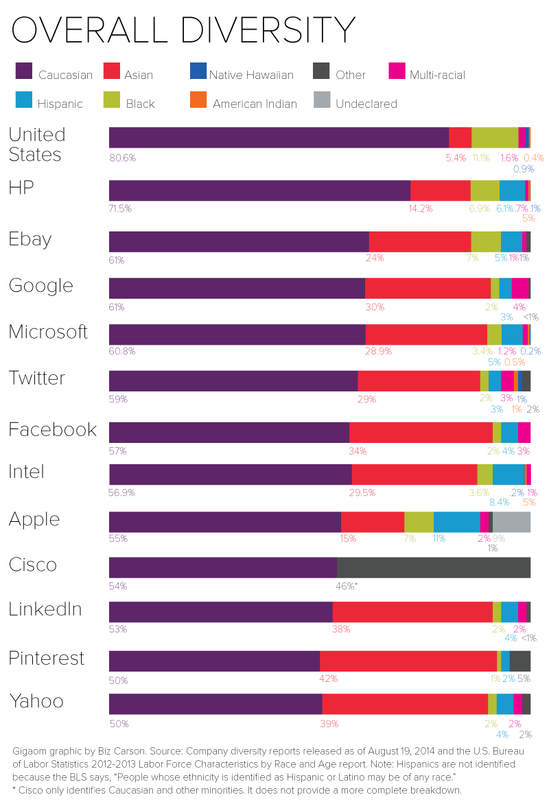 People never pay real attention to marketing; but they’ll always pay attention to interesting. Fred was one of the best! A4BET® is supported by 16 A4BET® related domains, including A4BET® Asia( www.a4bet.hk ) and A4BET® India ( www.a4bet.in ) along with 6 A4BET® social media sites that include: Facebook, Instagram, LinkedIn, Pinterest, Twitter, and YouTube. 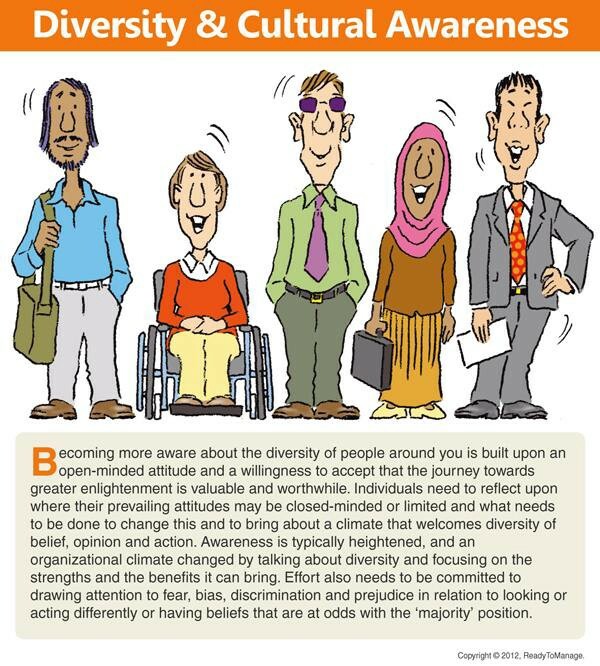 A4BET® also has it’s own cartoon character. 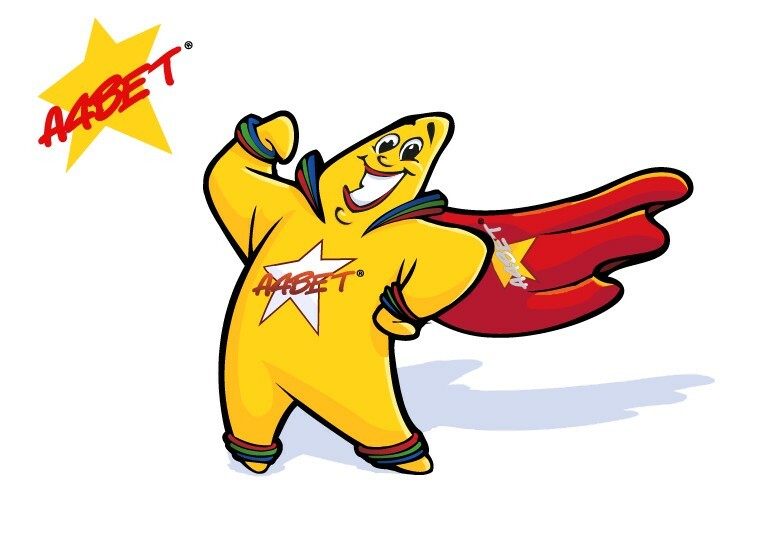 The A4BET® cartoon character has massive ancillary revenue potential which one day could rival Disney’s Mickey Mouse and Winnie the Pooh for the title of world’s #1 cartoon character!